Wax tarts from the last basket that I would buy again in a heartbeat: CFTKR Amish Quilt and Sugar Cookie Latte, VCS Cozy Jackie O and Murder House Coven, Beezy Country Bumpkin and Dessa's Apple Cinnamon. 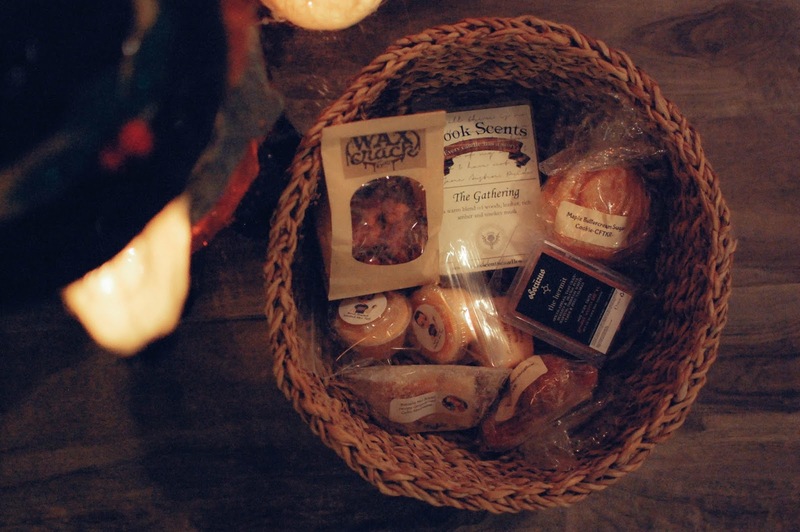 Now that we are finally getting some lows in the 40's I am not quite ready to put away the cozy, the pumpkin bakery and the smoky woodsy scents. So I am prolonging Thanksgiving a little and adding in some repeats too. If you are curious about any of these scents please let me know and I will review them in depth for you. The weather has seriously been amazing as of late. Thunderstorms bringing in cold fronts and cold breezes ringing the wind chimes on my porch. One nice Sunday evening my sister and I went to Ybor, a historic small neighborhood near downtown Tampa. It was founded by cigar manufacturers and was home to many Cuban and Spanish immigrants. 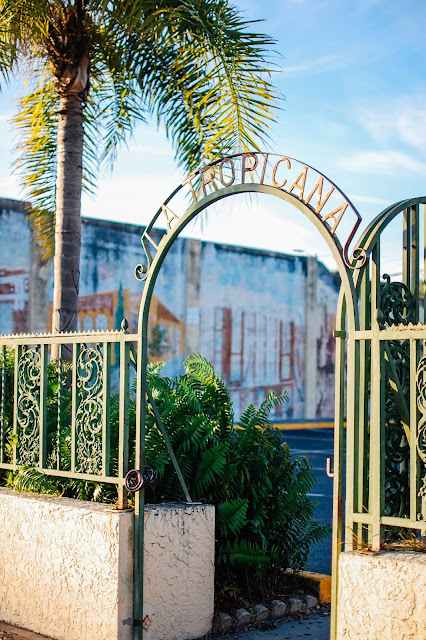 It now mostly features restaurants, bars and shops in a motley mix from dilapidated pirate themed rum shanties to an upscale historical Columbian Restaurant. Darby and I ate Carmine's where I noshed on a pressed Cuban sandwich and drank some ginger ale. 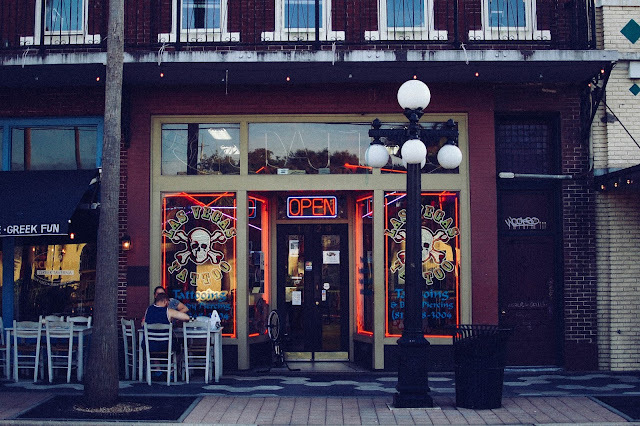 The real reason we trotted over the Ybor City was to celebrate our birthdays by getting an ear piecing at Las Vegas Tattoo. Darby chose a forward helix and I ended up getting my rook pierced. I have been swimming under the load of worry and stress and some anxiety over the future move and all the changes that will come with that. I have not been very active in engaging my friends or finding time to disengage my spinning mind. Nothing like a huge hollow needle to crunch through layers of cartilage to take one's mind off a few worries for a second. 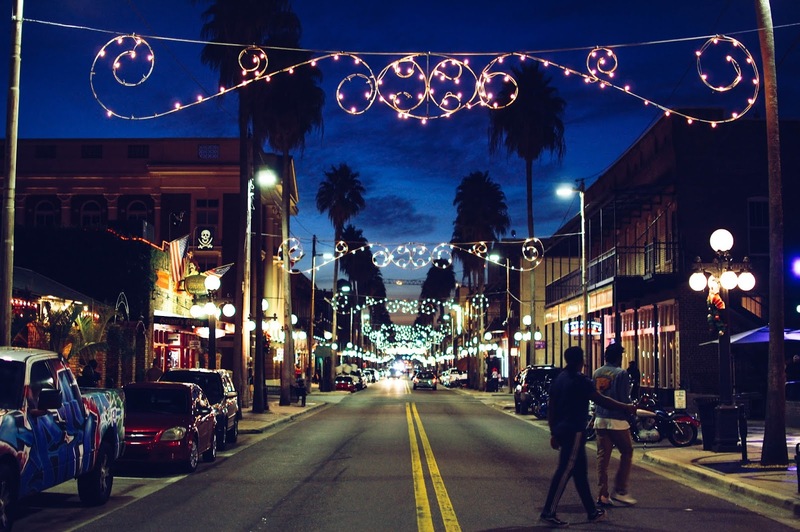 Ybor City at night offers a melange of scents and sights. How are you doing? Are the Christmas lights going up near you? Can you believe I don't have my ears pierced at all? Not even the most basic? No?! I remember my grandma having clip-on earrings she would pick up from Avon. Did you ever wear those? My mom pierced my ears when I was less than one and I did the same with my girls. My aunt was indignant about it saying that it wasn't my body to make that choice. I can see where she is coming from but I figured if the girls didn't ever want them then they could let them grow closed. So far they choose to wear earrings every day pretty much. Plus now they don't have the awful memories of the pain of getting them done. YAY! Lights are going up in our area too. The neighbors are slowly putting more and more out each night. I am getting excited. Are you going to do any of the cute light up window decorations? I think we are going to try and get our tree this weekend. I am beyond excited. I am so excited that you and your sister got your ears pierced! I can't wait to see pictures! Thanks! It was a nice night of bonding over body modifications. I will take a picture once it heals up and looks sweet. I am liking it. No one even really notices it which is nice for work. Are you moved into your new home yet? I remember that being a semi-stressful experience when it came to taking on a mortgage and making sure the house was coming along and that things were done right. Thank you for your well wishes. I am thankful for them and for you. <3 I am excited for Orlando though.